New book, some shelf wear to jacket. 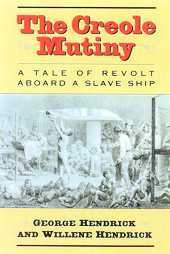 Despite its importance to the history of slave resistance to the history of slave resistance and American foreign policy, the story of the 1841 slave revolt abord the brig Creole remains largely untold. This book treats the reader to an historical detective story, piecing together from disparate sources the tale of this successful slave revolt and of the mysterious figure of Madison Washington, a fugitive slave.